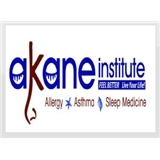 AKANE Institute of Allergy, Asthma &Sleep Medicine (San Diego) - Book Appointment Online! AKANE Institute of Allergy Asthma & Sleep Medicine, Inc is committed to providing each patient with an exceptional level of care and attention. At the AKANE Institute of Allergy Asthma & Sleep Medicine, we are proud to be physician owned and operated. Our dedicated staff works together as a team to provide high-quality comprehensive care. Our compassionate and understanding doctors take pride in paying close attention to each patient's needs. The AKANE Institute of Allergy Asthma & Sleep Medicine has offices in La Jolla and Scripps Ranch / San Diego. We offer daily appointments from Mondays to Fridays, and accept same-day appointments (based on availability). Highly recommended! Dr. Sharma is very professional and very patient. Spent more time than she really needed to with me for my condition and addressed all my questions! I especially love that she outlined my treatment plans for the next few months (and plan B and C on the rare occasion that plan A does not work)!